I've tried to keep a fairly consistent schedule to post around three times a week as this was achievable for me. Since starting my new job full time three weeks ago I have found it harder to be able to post this often as I had a lot less free time than I used to. Now I'm starting to get used to my new working week I want to get back on tracking with posting and want to keep this up. 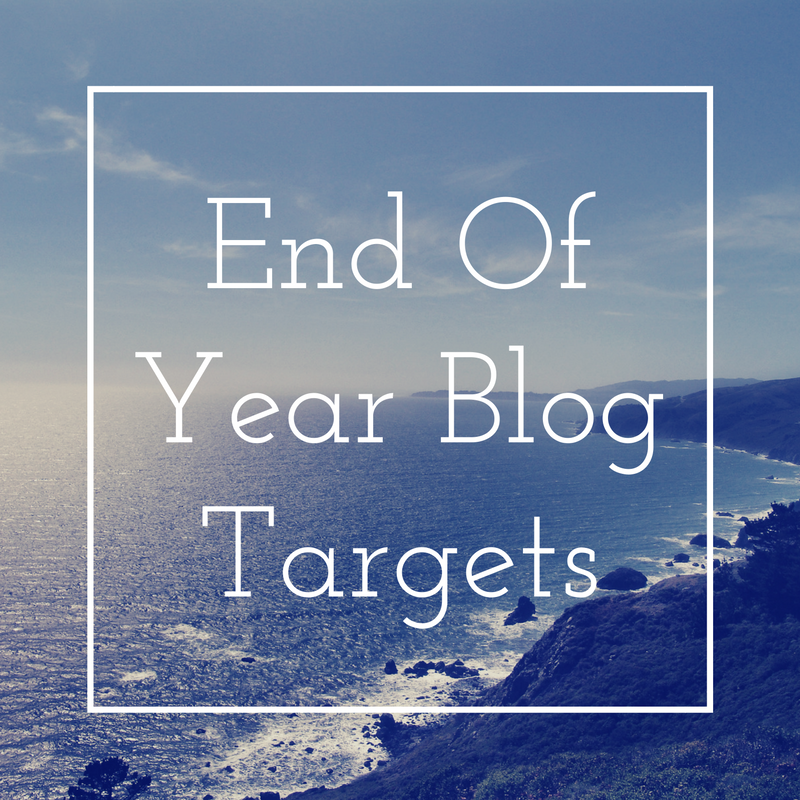 I'd love to be able to look in a few months and be happy with how I maintained my blog. I'd love to keep growing my following across all things blog related. I've been slowly increasing my page-views to maintain a steady level each day that I'm relatively happy with. Obviously my blog relies on my social media being able to promote my content so if I can keep growing my following across Twitter, Pinterest and Instagram. I know I don't currently engage enough, especially on Twitter so this is something I'm going to push myself to start doing more. I do quite enjoy writing review posts as it lets me think about something in more detail so I can give my views on it. I'm really into my technology and want to start reviewing more products in this area. Looking at other posts out there, I think trying out some cheap gadgets for review would definitely work and be quite fun. I'd also like do more review posts of restaurants and days out as you can get more out of it sometimes than a single product. I think this is always something to aim for as having better photos is never going to be a bad thing. I've been into photography for quite a while now and particularly like landscape photography and nature shots. As I said in my other goal about doing more reviews, I think this is an area where I want to improve as I'm not quite as strong taking product photos so I'd aim to work on this before the end of the year. Sometimes it can be quite easy to stick to the type of posts you are confident on and don't want to try writing some ideas that aren't normally your kind of thing. I think branching out into food based posts would be something to try. This could be anything from recipes up to giving my thoughts on the latest restaurant menu. It would expand my photography skills as taking quality photos of food is a different style so it would be interesting to learn and develop with this. I've done these kind of posts before but they have been related to TV series as a weekly catch up of the latest episode. I'm starting to do some uni related posts that are part of a series and want to try and do this with some of the other topics in my blog as it's a great way to keep content going. I think as a reader, I also like post series to keep checking back into. They are also a great way to get all the content out you want if it's too much to include in one post. I went on Timehop the other day and realised it was four years since I moved into student halls at Northumbria University and it made me think about another student/university post. When I was in my first year although I had a bit of a schedule, all the nights out had an effect on my work and I wish I had been more organised. Here's how I managed my time in my second and third years during university. When you're in school you're often given a planner or diary to keep note of coursework and exams, but when you start university you have to buy one yourself. Buy yourself an A5 academic year diary and record every piece of coursework, assignment details and deadlines and it will be easy to keep on track with your course. If you think of something to include in your dissertation, write it in the planner. If you schedule a meeting with a tutor, write it in the planner. You won't regret it. 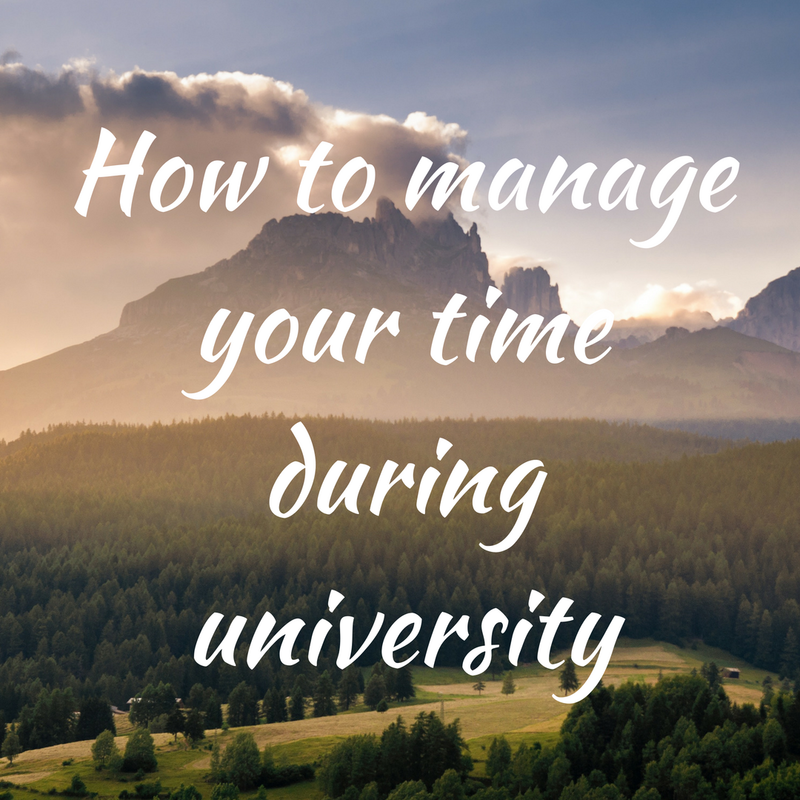 Aside from your timetabled lectures, seminars and workshops, you should be doing a few hours at least of work per day. In your free periods between classes, get yourself to a computer and do some work to pass the time. If you do this every day that you're in uni you won't fall behind, even if you're typing up lecture notes it will all help when it comes to exams season. I didn't go home in between classes and spent 'frees' in the library. You may have research to do, seminar prep, lecture notes to type up and categorise, coursework and dissertation prep along with revision. Getting small tasks out of the way is a good starting point as you can focus your time on important assignments and preparation. I typed up lecture notes as soon as I was free in order to dedicate evenings and sometimes weekends during busier months to tasks that were lengthy and important. Instead of procrastinating and putting off tasks, if you have a schedule in place then you can have time off without feeling guilty or falling behind. If you go on a few nights out a week, make sure your tasks are done before you go out, as you're definitely not going to want to do them when you're hungover. If you go away for the weekend to see friends or family, make sure your work is done or you can do it on the train so that you can spend quality time with people you love. Giving yourself time to relax and de-stress is vital when it comes to your mental and physical health too. If you know you have a seminar in a weeks time and you haven't got anything to do in between classes and you can access the next prep sheet, do the prep. Sometimes I managed to do research and preparation for classes two weeks in advance and it meant it didn't build up on me. Especially when it comes to your third year, if you already know what topic you're writing your project on, get some research done ahead of time. That means when it comes down to the nitty gritty, you already know what to write about and that's less stress on your plate. I can remember trying to get all my packing sorted and worrying whether I had got what I needed. I spent quite a while desperately searching for lists of important items, so I thought I'd create this easy guide so you to find out the important things you'll need to pack. There will be some items on the list that you may not need as they are provided in your accommodation (e.g. an ironing board). Clothes Rail - if you don't have much storage you can hang your most used clothes here, or alternatively use the rail to try clothes that are hung up. Passport - you may well need this for job interviews etc. I was thinking the other day about how things could be different if I'd chosen another route a few years ago, but I'm so happy with how things have turned out and I wouldn't change anything. I remember going through different years at school and having numerous ideas about what job I'd want when I grew up. I remember when I was in primary school and the only job I wanted to do was to be a binman. I had a toy truck that I always used to play with and loved watching them out the window when they came to collect the rubbish. There was a time at Christmas when I was looking at the lights and decorations with my dad and I saw a bin lorry collecting all the rubbish from the shops. After catching up with it I was made up that they let me put a box in the back and this just made me want to be a binman even more. Once I had moved up to secondary school I'd set myself on being a builder and wanted to leave school at 16 and go straight into this area of work. This slightly altered to a joiner and self employed handyman which I stuck with until the first year of my GCSE's. At this point I realised it wasn't going to be for me and after watching quite a few rather too many episodes of traffic cops and police interceptors I thought I'd found my new calling. In the second year of my GCSE's this went out the window and I ended up choosing to do my A-Levels ending up with ones in Maths, Geography and ICT. From starting these I had developed a real interest in working in something water related so it was at this point I chose to do Geography at Uni. Here I am now a year after I graduated and I've just started my job working for a water company. As I was saying at the start of the post, I'm really happy with my choices and right where I want to be. 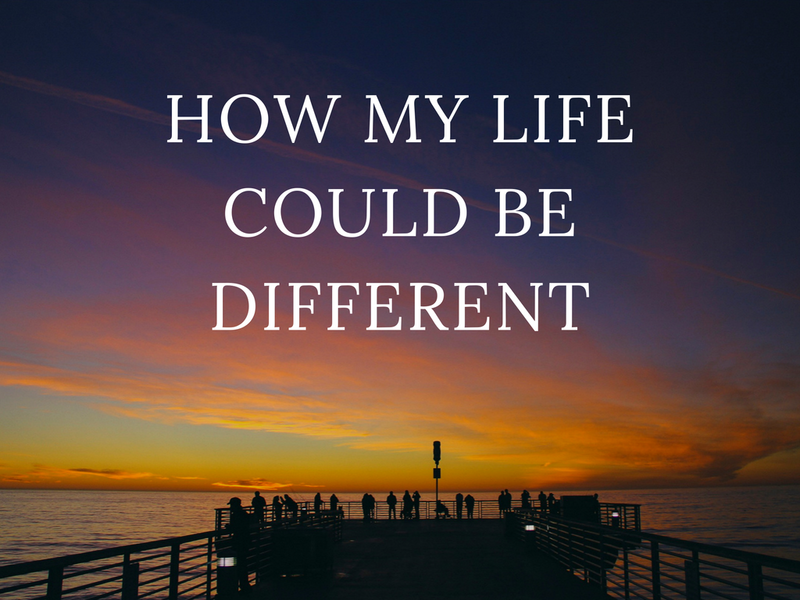 It is funny to look back and see which direction I could have gone in or which job I could have been in if I'd stuck with one of my first choices. A little bit of advice here is that if you don't know what to do or keep changing your mind then not to worry. Things will work out the way you want them to if you stick at it. It seems crazy that it's over a year ago that I graduated from uni and it got me thinking about the 3 years I spent up in Newcastle. As much as it was an amazing time there were things that I wish I'd done when I look back. There are so many different things on in uni that it's hard to find the time for everything you might want to do. I did have a part time job which took up some time that I could have spent doing something else. Thinking back to what I did in uni make me have a few regrets and what I did do, as well as what I didn't. Newcastle is such a great city that has so much to offer. I know when you go to uni there is a lot of going out involved, particularly somewhere with as good nightlife as Newcastle. This was enjoyable but it did take over seeing more of the city and surrounding areas, and it was only really my final year when I actually went to explore. People often move to another city while at uni so it's a great chance to see somewhere new. Don't let it pass you by because you may well look back and wish you'd done more while you were there. In my second and third year of the course I was able to choose certain modules to try and tailor my degree. Although there were many modules I really enjoyed and benefit me, some of them weren't as good as I initially thought. I think I was fairly sensible when deciding, but I do regret taking the odd one. Certain modules may sometimes seem like there it is slightly easier to get a better mark, whereas others may have actually proved more useful in the long run. It can also be easier to choose ones that sound good, but not always reading into the module in detail can mean it turned out a little different to what you thought. Getting my student loan was rather exciting and especially in my first year I didn't really get hold of my finances like I should have and wasted too much. I did have a few expensive purchases but apart from that it would be hard to tell where a lot of my money went. For a lot of people, myself included, living away at uni was the first time I had to pay for a number of bills. Having to manage paying for all these new things was quite daunting but ended up being a big learning curve. Even though I did manage to travel a little bit while I was away at uni, I wish I'd saved more money up towards going away somewhere nice at the end of the year or something similar. When you move away it can be a little scary, I know I was nervous on the first day. A lot of students will get put into a flat with people they will never have met before, and it can be easy to think this new friendship will last all the way through uni and be the best for you. You may well find out that this isn't the case, as it turned out that people from my course became much better friends to me. It did cause some issues sticking to a certain group and meant I missed out on other things I could have done. I never really cooked for myself before I moved away so could only do basic meals. Combine this with being able to buy whatever food I wanted, it's no surprise that I lived off freezer food and takeaways. I did slowly start to learn to cook for myself, a lot of this does go down to Laura's culinary skills and patience teaching me. Takeaways also ate into (excuse the pun) my money and it was surprising how much you could save cooking nice meals for yourself. Aside from the fact that home-cooked meals are much healthier, they also taste much better than a cheap pizza from a random takeaway. Going to University was such as amazing experience and if you are thinking about it, I would encourage you to go as it can help with a lot more things than just your education. It's often a really good way of gaining independence which is never a bad thing. Don't let me talking about some regrets put you off, this will happen with anything you do and always helps you learn for the future. Seen as I have been through uni already I thought it would be good to different a few different advice posts. I know if I had been able to know some of this stuff before and while I was at uni it would have been really useful, so hopefully this series should help you out. 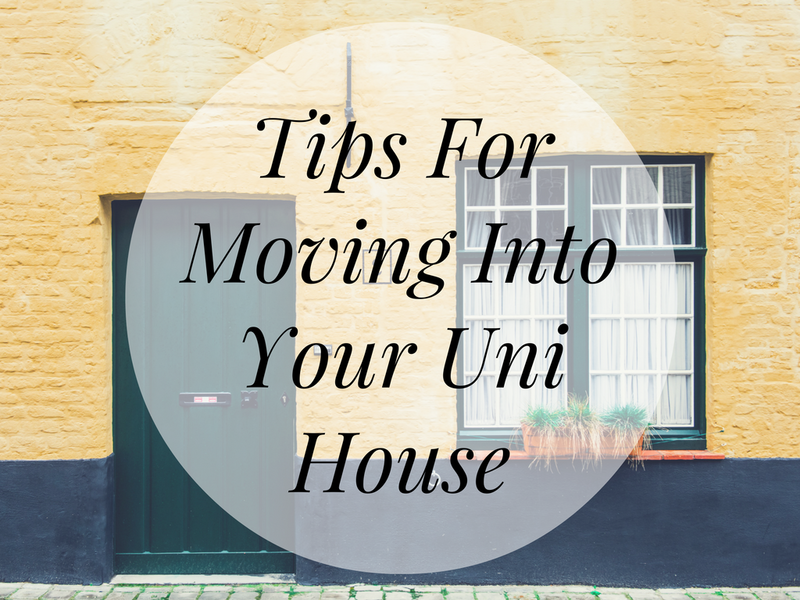 From my experience living in halls for a year then renting two private houses, there are certain things I've learnt that can make your life a bit easier. If there is any damage when you move in you need to report this to your landlord so that there are aware it was already there when you moved in. This should ensure it gets repaired if needed and that you won't end up getting charged when you move out for something you didn't do. Even if its small things such as marks on the wall or some furniture that is chipped, don't ignore it as you don't know how picky your landlord will be. The best thing to do is to make a list of all the issues and take photos so you can send them over just after you move in so they can't try and argue it was you later down the line. This goes for any problems you develop through the tenancy or any accidental damage you cause, it's better to report it as it happens to make sure it gets sorted and they might be a little more lenient rather than finding a few different issues at the end. I was definitely guilty of this in my first year as I thought I needed all the items I owned. I even had a box of spare cables and chargers for things like I probably didn't even have with me, so it sat there collecting dust all year. When you are packing, think about what you actually use. If you haven't used something in months, you can be pretty safe leaving it at home. As much as you want to take things that you make you feel comfortable, remember that you may well have a smaller room than the one at home so you don't want to be cramped up. 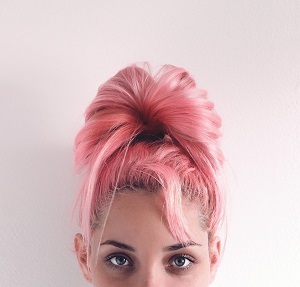 When you move into your uni house, there probably won't be much in the way of luxuries. You'll probably be blessed with a bed and some furniture so you may need to pick a few things up. You may try to avoid buying certain things for the house as you think you'll only need them for a year or two, but don't let this leave you trying to iron your clothes with a hot pan. I know buying things like an ironing board won't be the top of your shopping list, but you can get them a lot cheaper than you think. There are plenty of shops where you can pick things up such as: Wilko's, IKEA, B&M, Home Bargains, Pound stores, Supermarkets and Primark (particularly cheap for bedding items). You can often get other things such as toiletries and dry food cheaper in some of these places so if you shop around a little it will save you a few quid here and there. This will save you a lot of hassle when sorting out bills. I had issues with an energy supplier to do with grossly overcharging me as they were using estimated start readings that you way out. Had I not recorded the readings as soon as I moved in, it would have made my life a lot harder. Taking photos of the meter is always a good idea and they can be used to send to your supplier so they have the correct info from the start. Some advice for throughout the year, if you think you have been incorrectly billed, don't just accept it. Contact them as soon as it happens and query it as it may have been a mistake that would end up costing you more money. If you speak to them as soon as you move in, it means you will get things set up quickly such as getting your broadband installed. As there is a high turnover of who lives in student properties, supplies don't always have up to date information about who is responsible for paying the bills. Letting them know you have just moved in and are now responsible should make sure you don't end up getting billed for the previous tenants. You may be able to set up a better payment plan such as paying by direct debit which could end up working out slightly cheaper. Advice for when you move out - contact them prior to leaving to clear up any remaining bills: pay off any remaining balance or claim it back if you have left part way through a billing period etc. This is your landlords responsibility to sort any issues relating to this as it could affect your health. Report this if it becomes a problem, because it will most likely get worse if it's left untreated. Be aware that drying your clothes indoors without proper ventilation can affect this too, so make sure you do your part to help prevent it. In winter, don't let your house get too cold, but do remember to keep fresh air coming through so there isn't a build up of moisture.